MARCIA TAYLOR is the owner/director/principal instructor of THE DANCE STUDIO OF MISSOURI, THE DANCE STUDIO OF KIRKSVILLE, and THE DANCE STUDIO OF IOWA, located in Pella, Iowa. Marcia is a graduate of the Conservatory of Music and Dance at the University of Missouri-Kansas City, a renowned Conservatory with more than 100 years of history that has produced musicians and dancers known around the world. In addition to her BFA degree in dance, she also holds a degree in early childhood education, which is invaluable in designing and implementing her widely modeled age-appropriate high quality curricula for young dance students. Her academic and professional training is in ballet, jazz, tap, modern, lyrical, creative movement, liturgical, choreography, folk and acting. She has even taught hip hop and college gymnastics and tumbling. Her advanced formal dance training comes from The American Dance Center, Dupree’ Dance Academy in Los Angeles, Los Angeles Dance Center, Alvin Ailey, Chicago Dance Connection, and The Ballet Workshop and Seminar (London, England). Marcia is one of the few (and among the first) dance instructors who has earned formal dance certification from the State Department of Education. Marcia’s performance and choreography credits are equally impressive. She is a former Miss America contestant, after being selected as Miss Missouri, where she was the Overall Talent Award Winner as a dance soloist. She is also a former Kansas City Chiefette for the Kansas City Chiefs NFL team. She has also been a featured dancer in Hollywood variety shows and national telethons and has appeared as a soloist or dancer with Theater at the Vis, Crown Center Goes Hollywood, the University of Missouri-Kansas City Conservatory of Dance, Kansas City Ballet’s “The Nutcracker,” and the Miss America Pageant in Atlantic City, to name a few. She has also been principal choreographer or featured choreographer for Ibsen Dance Theater, Miss Missouri Pageant, America’s Junior Miss Pageants, Theater at the Vis, Kansas City Chiefettes, and People in Motion Dancers, to name a few. Over the past twenty-five years Marcia has served on the dance faculties of three colleges and universities, including Truman State University in Kirksville and Central College in Pella; and she has owned, directed, and served as principal instructor of her own dance studios, including THE DANCE STUDIO in Kirksville, Missouri (present) and THE DANCE STUDIO OF IOWA in Pella, Iowa (present) and, formerly, DANCE ELECTIVES in Kansas City. In addition, she has been principal dance instructor of the nationally renowned Young Audiences Program in Kansas City, Instructor of Dance with the Kansas City Magnet School of the Performing arts, and Director of D.A.N.C.E., LTD., an academic and performance program of dance and movement for public, private and home school children in four states. She has directed the award winning PEOPLE IN MOTION DANCE COMPANY at her Kirksville Studio for several years and is giving increasing personal attention to the relatively newly-formed CHRISTIAN DANCE COMPANY at her Studio in Pella. In addition to her extended dance family that comprises several thousand former and current dance students, her own family is husband Terry, who assists with the management of the Studios and is a writing consultant; daughter Skyler, who recently signed her first contract with a professional Ballet Company; daughter Callan, who plays professional basketball in Europe (and former dancer); and son Matt, who is a certified personal trainer and former collegiate soccer and basketball player. McKenna Nelson, of Macon, has been taking dance lessons and performing in musical theatre productions since the age of 3. Her dance career consists not only of taking varied classes like ballet, jazz, hip hop, lyrical, and pointe, but musical theatre and acting classes as well. 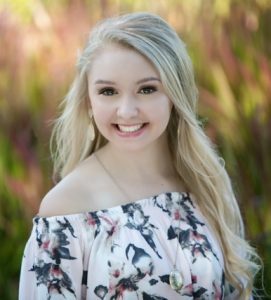 McKenna has worked with Maples Repertory Theatre, Carousel Productions, and choreographers/coaches like Jennifer Wilson, Roy Lightner, and Faith Sandberg. At the age of 13, she began teaching for what eventually became “McKenna’s Dancing Stars” which continued for 6 years and included 80+ students of all ages. Also at the age of 13, McKenna began choreographing the Macon High School musicals and has been doing so for the last 9 years. She was involved in the pageant circuit and won the title of Miss Moberly which qualified her to compete in Miss Missouri 2015. While prepping for Miss MO, she raised funds for Children’s Miracle Network, made appearances and performed for local events, and worked with pageant coach Lisa Forbes. She went on to win Miss MEC and has judged many county pageants and baby shows since then. From 2015-2018 she attended Central Methodist University working toward a major in music. While at CMU, she took part in many master classes, singing competitions, concerts, and opera productions. She is excited to announce that she recently graduated, is back home, and will be teaching K-12 Music at Atlanta C-3 School District (and teaching dance again, of course). As a competition dancer, Randall’s self-choreographed solos have earned 1st Overall, Top 10 placements and Judge’s Choice Awards, and her performances have been further recognized with scholarships to attend The One Dance Convention, selection to travel as a Z-Crew Demonstrator for DanZa Dance Conventions, and as a 3-time member of the Cutting Edge Performance Team at EDGE Nationals. At only the age of 12, Randall’s self-choreographed performance was awarded the Worlds of Fun FestivalTop Dance Routine Sweepstakes Award. During her tenure as a KHS Dance Team member, she was selected as a UDA All American dancer and served as a captain her senior year. 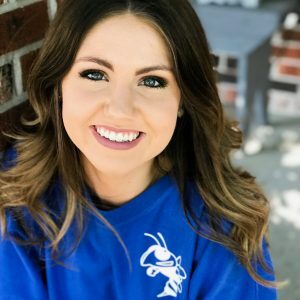 Randall has been a teaching assistant for classes and summer camps, choreographed for the KHS Dance Team and taught/choreographed award-winning competition duets. As a titleholder in the Miss Missouri’s Outstanding Teen Program, Randall has earned High Point Talent Awards. Randall looks forward to pursuing a future that includes sharing the joy of dance with others through teaching, choreography and performance.